When couples divorce, mistrust abounds. 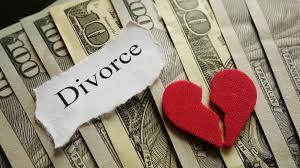 One of the first things people think of when their spouse asks them for divorce is, he must have been stashing away money. You know more about your financial situation than any stranger could, so before you hire a private eye to look for hidden funds, think carefully about your circumstances and how your spouse could have squirreled money away. 1. Was his paycheck automatically deposited to your joint bank account? If so, look through the check registers and credit card statements to see if you find any unusual outlays or cash withdrawals. Often, the cash he managed to set aside in the back of a closet or deposited into a relative’s bank account is very little because he had very little opportunity to divert funds..
2. Did he take money from brokerage accounts, lines of credit, or cash advances on credit cards? If so, those withdrawals will appear on the statements for those accounts, so go through those account statements carefully to see if there are funds that have gone missing. 3. Did he receive expense reimbursements? If so, go through account statements to see if those reimbursements are all accounted for. Don’t forget medical reimbursements that he might have received as well. Some employees delay submitting expense reports to their employer or medical reimbursement forms so that they will receive reimbursements after separation . Keep a clear head as you are going through the records – you are looking for what isn’t there, and that’s often difficult to see. 4. Did he delay income until after the divorce? He might have made a deal with his employer to delay bonuses or raises until after the divorce, to avoid splitting the windfall with you. Or perhaps he gets payments in cash that he pockets and doesn’t report on the tax return. Consider what he spends each month – haircuts, meals out, walking-around money. If those lifestyle costs don’t appear on credit card or bank statements, they must have been paid in cash. Figure out how much he spends, and that’s how much additional income he earns. 5. Do you know the source of funds for all custodial accounts set up in the names of children? If accounts were set up and funded not long before the divorce began, the parent making the contribution may be planning to remove the funds once the divorce is over. Even if the account has been in existence for a while, frequent additions and withdrawals over the years can indicate it is regarded as a personal piggybank by the custodian rather than truly the children’s money. 6. Do you owe money to Uncle Harry and you don’t know why? When it comes time to divorce, debts owed to friends or family members tend to surface. If there is repayment of a phony debt to a friend or family member, there may be a pre-arrangement that the friend will hold the money until after the divorce. Establish the purpose of the loan and what happened to the funds supposedly borrowed, to determine if it is a legitimate debt. 7. Has his business begun losing money? He might be reducing income by delaying sending out billings and invoices until after the divorce. He might be paying a girlfriend or relative for services never rendered. Or perhaps he is recording expenses paid to nonexistent employees or service providers but the checks are never cashed. The checks likely will be voided after divorce, but meanwhile they appear to reduce income available for support. 8. Has he been investing in antiques, artwork or hobby equipment that may be overlooked and undervalued? Look for lush furnishings in the office, or artwork on the walls. It is not uncommon to find paintings stashed behind doors and in storage, all paid for with marital funds, or find there were purchases of gems, coins and other investments through business or personal accounts, with the assets nowhere in sight.